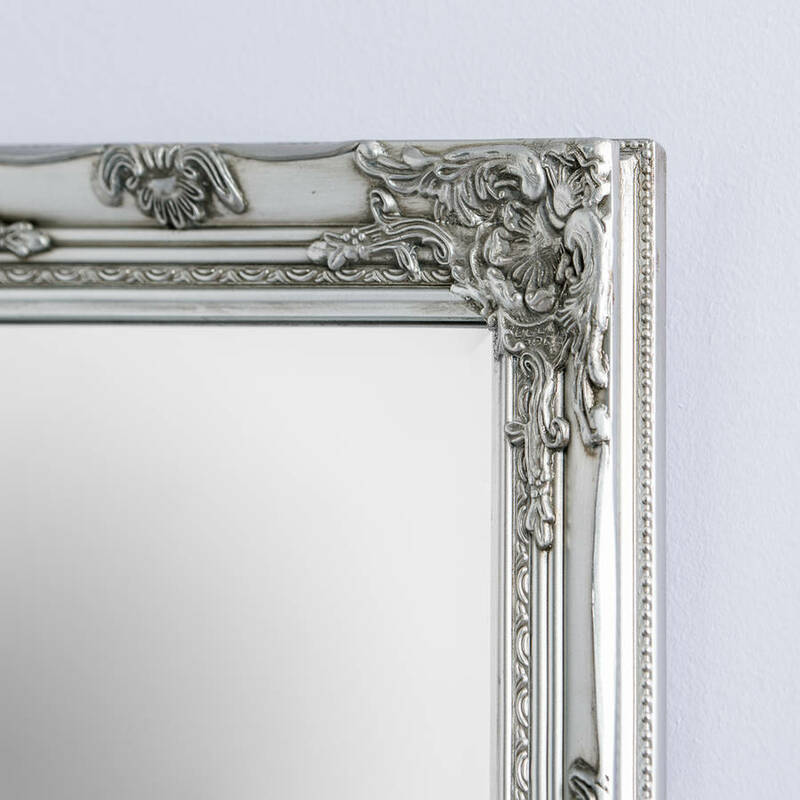 A stunning Silver framed bevelled mirror with an ornate style and French finish. The vintage finish complements the proportions to create a stunning piece. 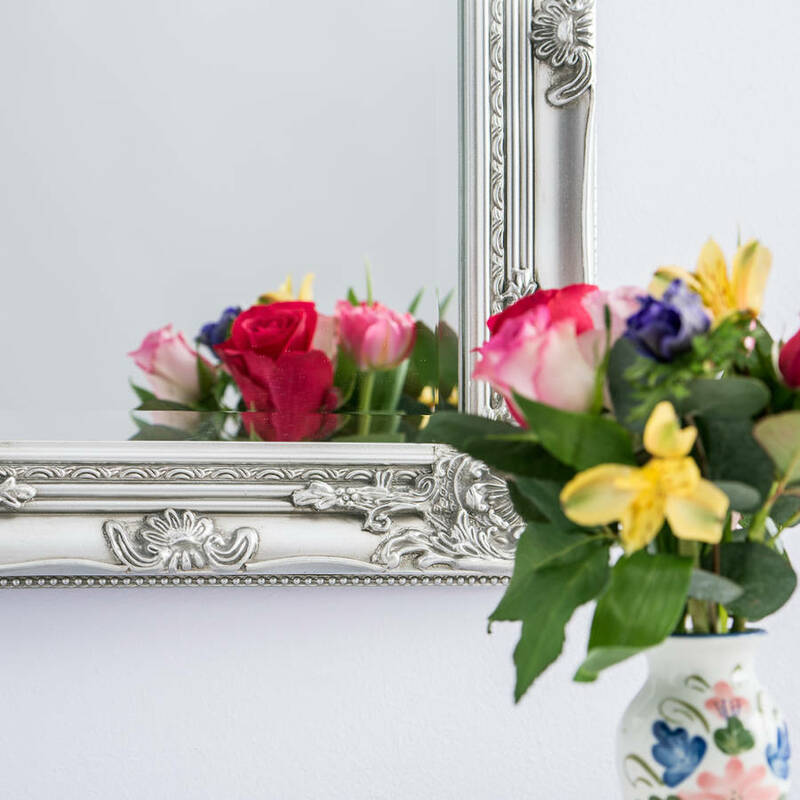 This little mirror is a perfect gift that will complement any decor. The colour is a gorgeous silver /pewter and will complement any decor . 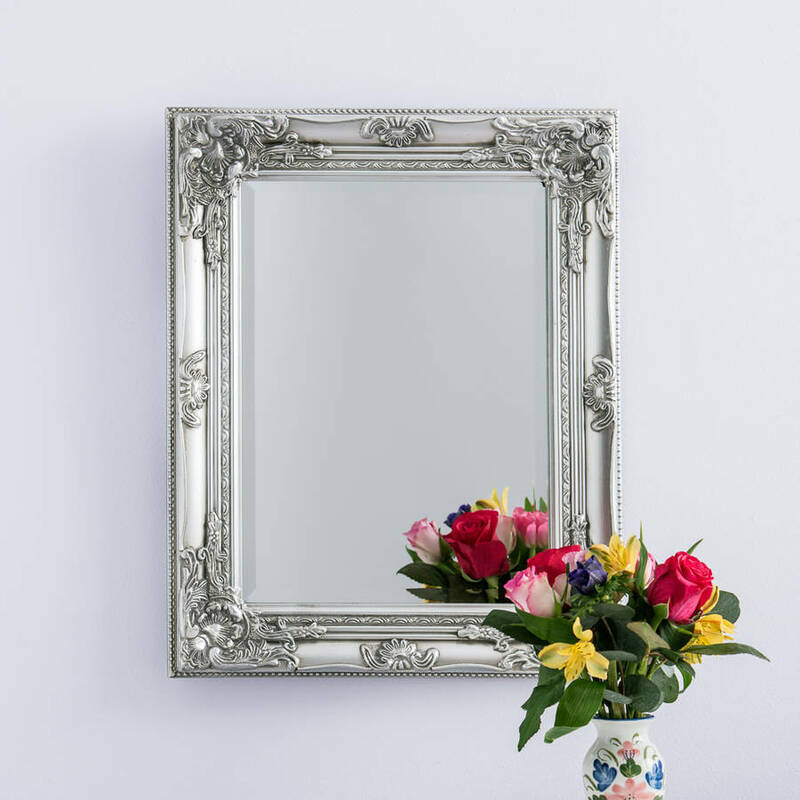 The mirror will be a lovely addition to any home and will also make a gift that will last forever in this classic design that will always be in style. 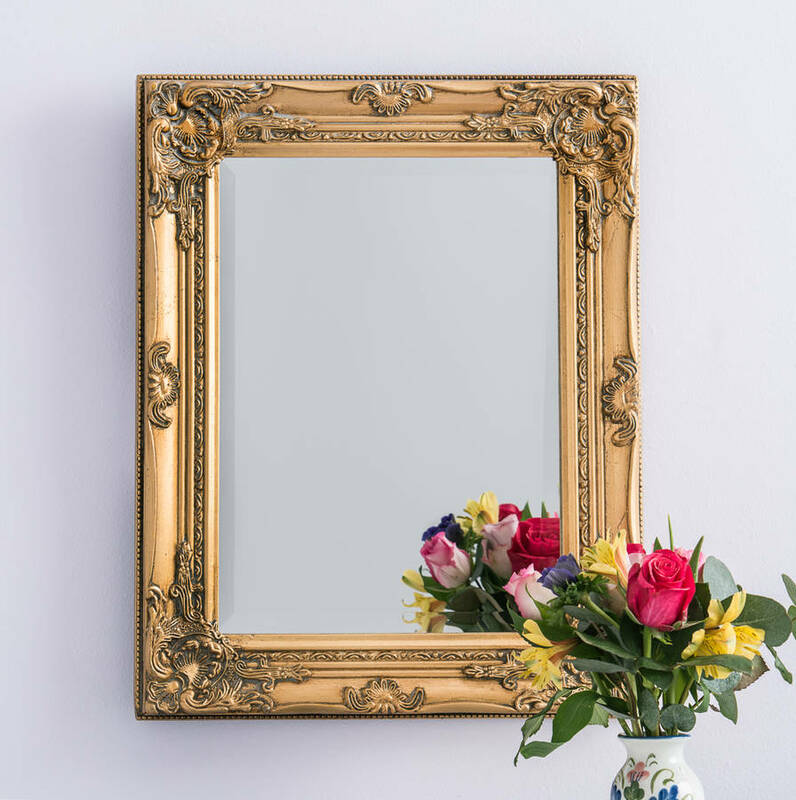 Great value for money, this beautiful ornate wall mirror is very reasonably priced.The mirror is in a pewter finish with an antique wax effect defining the detailed edging. 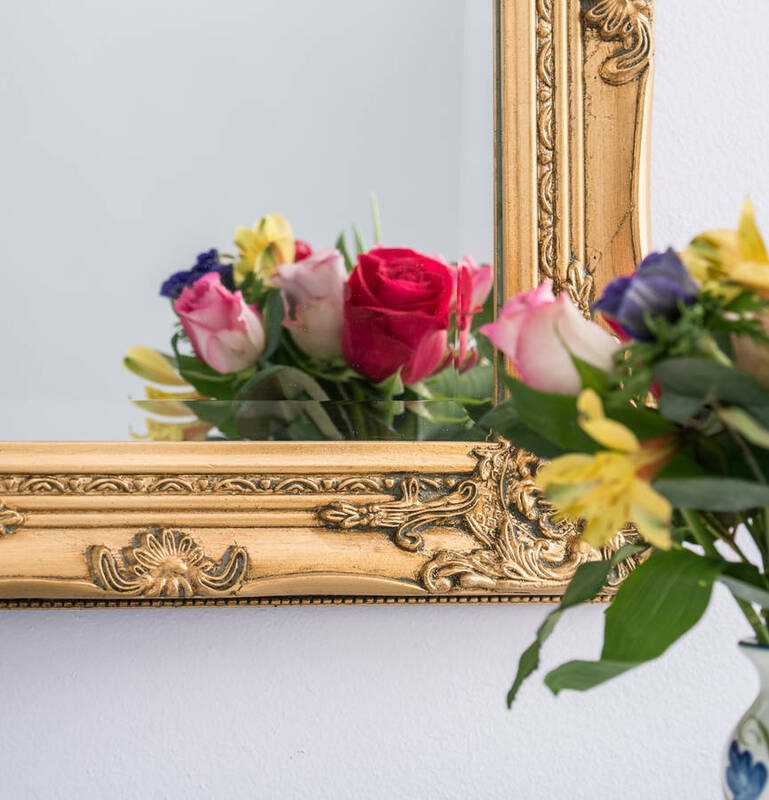 It measures 52 x 42 cm or approximately 16x20 inches it has bevelled glass (38 x 28 cm) and can be hung from a wall (fixtures are provided) or can stand against a wall or on a shelf. 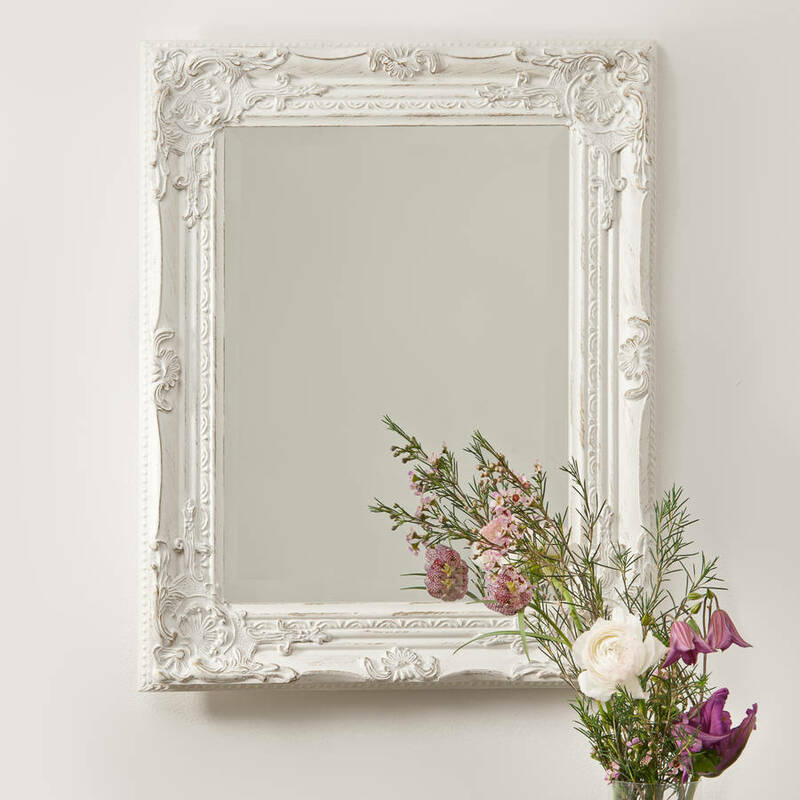 This mirror is also very popular at weddings, and for a wedding gift.